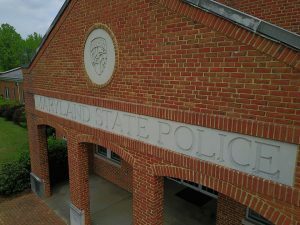 UPDATE 1/14/2019: The Maryland State Police has lifted the Snow Emergency Plan for Charles, Calvert and St. Mary’s Counties effective at immediately. Motorists are encouraged to continue to use caution while driving as they may quickly encounter different road conditions throughout Southern Maryland. 1/12/2019: The Snow Emergency Plan for Charles County has been placed into effect on January 12th, 2019 at 9:30 p.m.
Travel on snow emergency routes. – A person may not drive or attempt to drive a motor vehicle, other than a motorcycle, on any highway that is designated and appropriately signposted as a snow emergency route and for which a snow emergency has been declared and is in effect, unless the vehicle is equipped with chains or snow tires on at least one wheel at each end of a driving axle. Parking on snow emergency routes. – A person may not park a vehicle on any highway that is designated and appropriately signposted as a snow emergency route and for which a snow emergency has been declared and is in effect. The Department of State Police or the police of any political subdivision of this State may have any vehicle parked in violation of this subsection towed from the highway. This entry was posted on January 12, 2019 at 10:34 pm and is filed under All News, Charles News, County, Law Enforcement, Top News, Weather, z 600X120 Top Ad Bottom, z 600X120 Top Ad Top. You can follow any responses to this entry through the RSS 2.0 feed.